ENGSTROM, A.B. 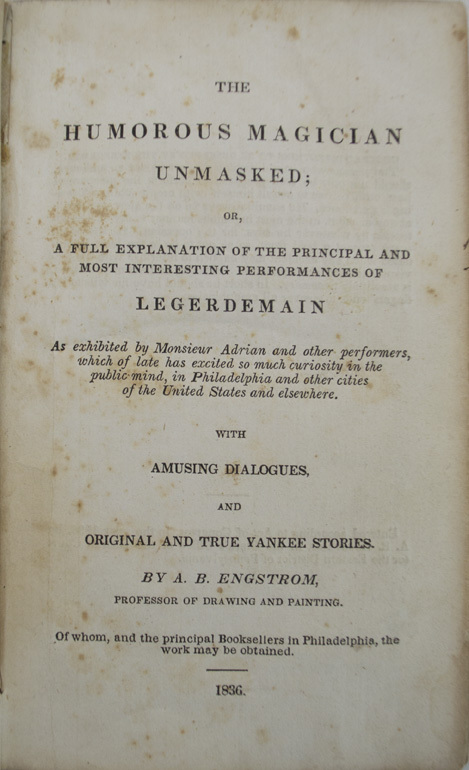 Humorous Magician Unmasked; Or, A Full Explanation of the Principal and Most Interesting Performances of Legerdemain. As Exhibited by Monsieur Adrian and other performers, which of late has excited so much curiosity in the public mind, in Philadelphia and other cities of the United States and elsewhere. With Amusing Dialogs, and Original and True Yankee Stories. 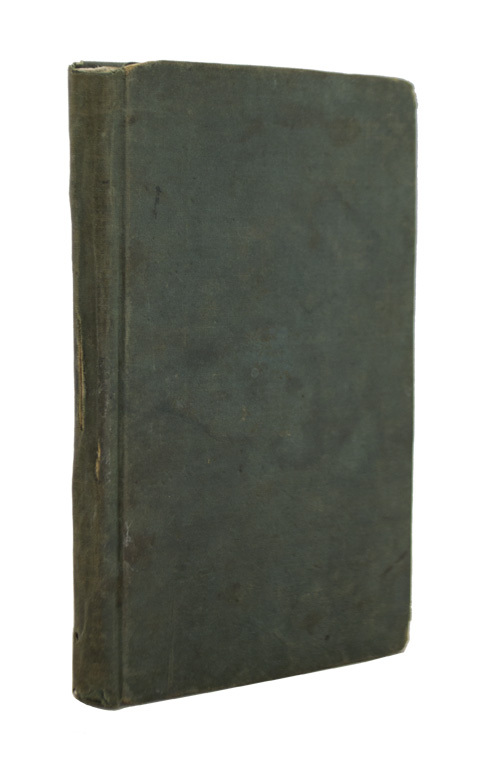 Philadelphia: Printed by the Author , 1836. First edition. Twelevemo (5 7/8 x 3 5/8 inches; 150 x 93 mm). -90 pp. 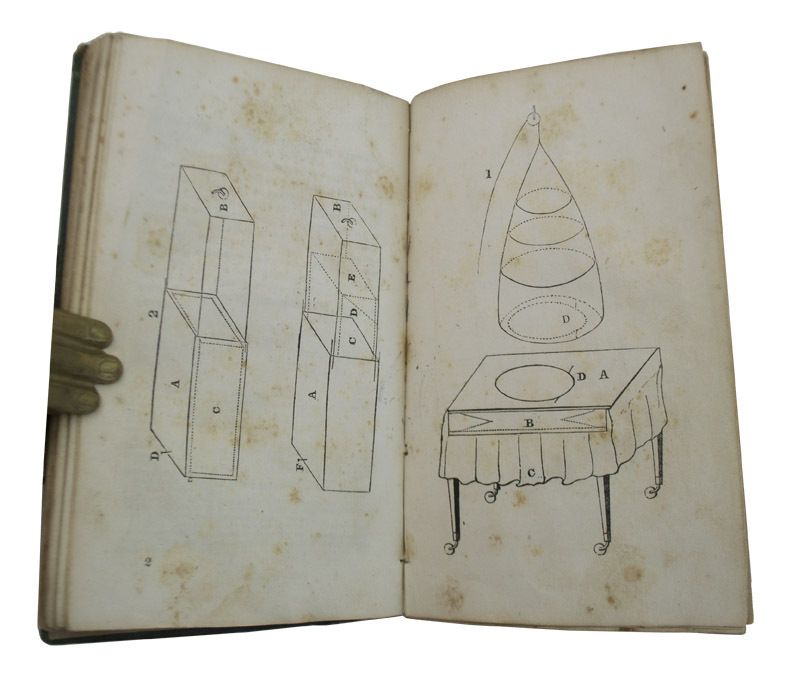 With nine engraved plates of diagrams for experiments. There was one copy sold at auction in 2015, which had been rebound, and the last one which sold at auction in the original cloth was sold in 1982. 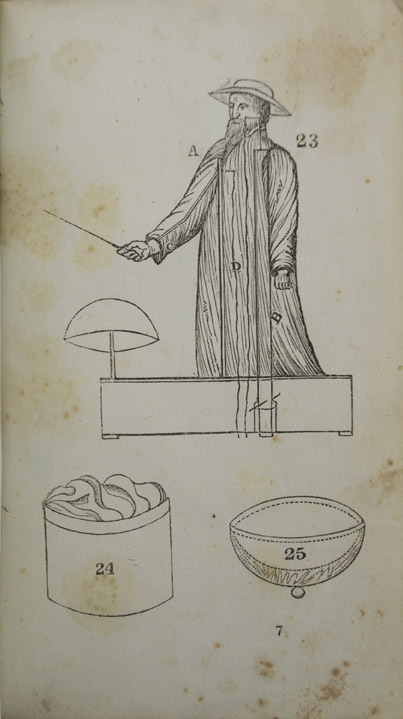 Comprised of explanations for performing 36 "experiments" or magic tricks such as "To make a person disappear in a sack, and "To kindle a blaze under water. 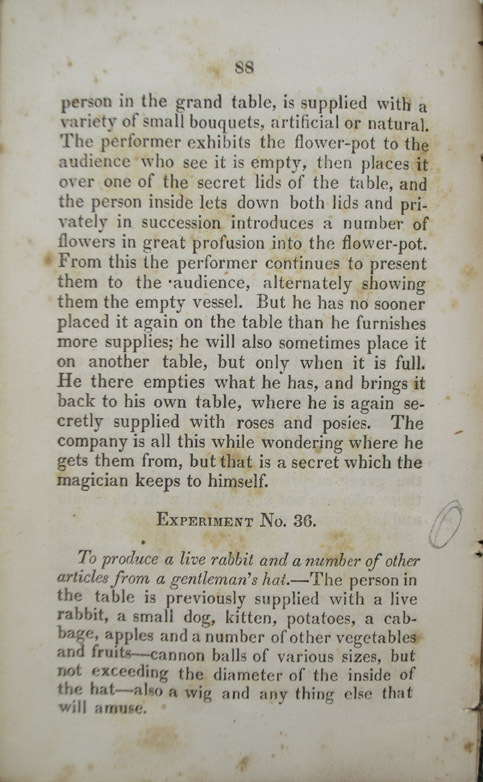 This book is also the first to contain the explanation for the trick of pulling a live rabbit from a hat. Original full drab green cloth. Some discoloration and rubbing to cloth. A few tiny splits and chips along spine. Some small marginal pencil markings throughout. Pages with some toning and staining, as is common for American books of this period. Overall a very good copy.